National Waterpark Day is Saturday, July 28th! Grab a towel, your swimsuit, and some friends and "slide on down" to Prince William, VA to experience our waterparks. Zoom down one of the four-story-tall slides on Pipeline Tower, prepare for launch down the Cannonball Slide or challenge a friend to a race down the Twister Slides. Prefer to relax while soaking up the sun? No problem. Splashdown Waterpark has a 770-foot-long lazy river for unwinding. Bubblers, fountains and a wading area are perfect for young visitors. Enjoy a variety of food from the onsite eateries at one of the picnic pavilions. Splashdown Waterpark has something for you! 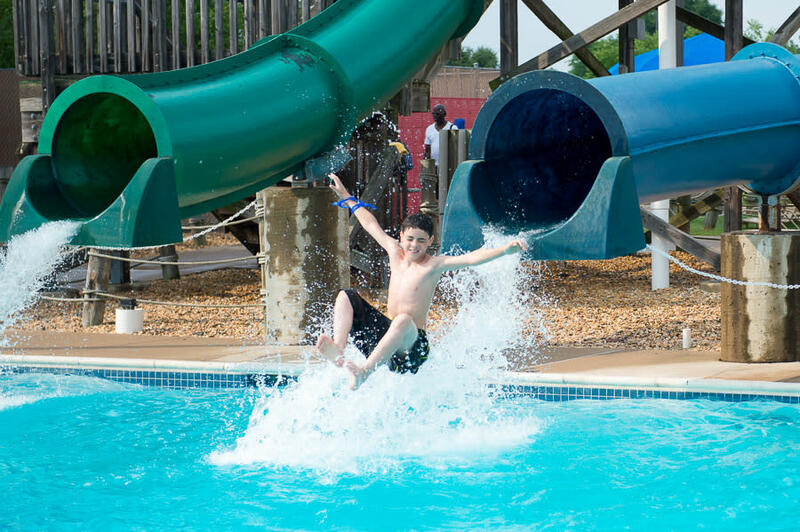 Have fun in the sun all day at Waterworks Waterpark! Blast down the Enclosed Speed Slide, twist and turn your way through the Circular Open Slide or test out your balancing skills on the 3 Jungle Walk Features. The new Children&apos;s Play Structure and Splash Pad are sure to keep the fun going for the little one. Enjoy a yummy snack from the Snack Bar beneath the shaded pavilion. Thousands of laughs and tons of memories are sure to be made at Waterworks Waterpark.